One of the most popular of Yosemite’s high country destinations has to be Cathedral Lakes. Easy access, beautiful scenery and tempting peaks make this a popular spot for backpackers, day hikers and climbers. 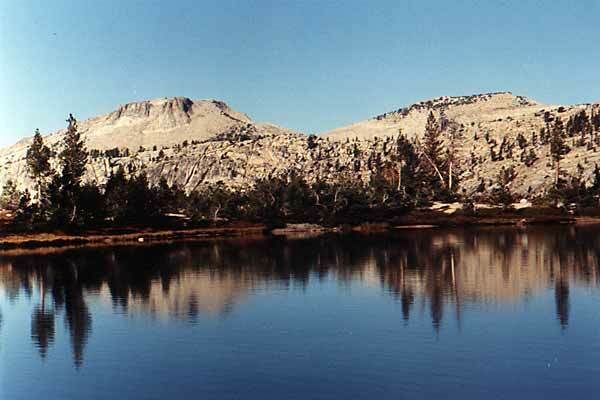 The Lower Cathedral Lake is located at an elevation of 9288′ and an easy 3.5 miles from the trailhead located along Tioga Road. The Upper Lake is at an elevation of 9585′ and about a half mile past the Lower Lake.